JAILANI: The amendment includes matters relating to punishment and penalty. KUALA LUMPUR: The proposal to amend the Communications and Multimedia Act 1998 is expected to be tabled in the coming Dewan Rakyat session which is expected to begin on March 7. 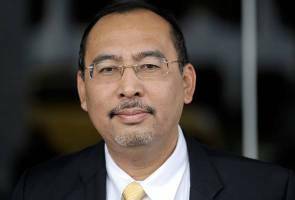 Deputy Communications and Multimedia Minister Datuk Jailani Johari said the amendment, which was aimed at improving the Act, encompassed several matters including those relating to punishment and penalty. "If now we see the punishment (under the act) is only around RM50,000, maybe after this we raise it until RM500,000 or more. "Other than penalty, several other items are also looked into especially involving the development of the communications and multimedia industry," he told reporters after opening Dewan Perdana Zafran here, Sunday night. Also present was Dewan Perdana Zafran chairman Datuk A. Kohilan Pillay. Jailani said a study on the amendment had been made since March last year involving discussions with more than 350 stakeholders including industry players such as Google and Yahoo!.